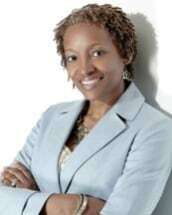 Attorney Vangela M. Wade established The Wade Law Firm, PLLC in 2011 to represent individuals and families in resolving legal issues impacting their lives daily and often generationally. With over 22 years of experience in Mississippi Law, Attorney Wade provides client-centered representation and counsel to clients in uncontested Family Law matters, Wills and Estates/Probate, Heirs’ Property Issues, Elder Law, Family Asset Protection Planning, Estate Planning and Long-Term Care Planning. Attorney Wade zealously represents each client with integrity and compassion, providing each one personalized attention from the beginning through the resolution of their legal issue. Since graduating in 1996 from the University of Mississippi School of Law, Wade has built a resume of diverse and distinguished legal experience. She served as Judicial Law Clerk for former Mississippi Court of Appeals Judge Leslie D. King; Special Prosecutor for the Madison County District Attorney’s Office; Labor and Employment Attorney with large regional law firms; and Diversity Management, Fair Employment Practice Consultant. Most recently, Wade served as an adjunct law professor at the University of Mississippi School of Law. Attorney Wade is a member of the American Bar Association (Real Property, Trust and Estate Law), Elder Law College, National Association of Elder Law Attorneys (NAELA), Magnolia Bar Association, and Land Title Association of Mississippi (LTAMS). Active in her community, she serves as Secretary/Treasurer of the Mississippi Center for Justice’s Board of Directors, in Jackson, MS and Secretary of the Board of Trustees for St. Andrew’s Episcopal School, in Ridgeland, MS. Wade is an inaugural and Board member of the Bessie Young Council of the University of Mississippi School of Law.